Why are these guys always getting hurt? A holding penalty forces a third-and-12. Aaron Rodgers definitely thought that was a fumble because he was the guy who stuck with that play. 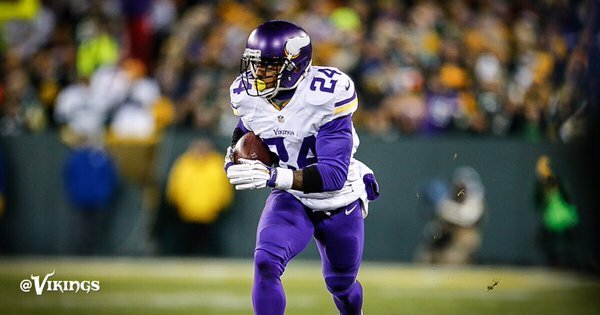 The ruling on the field is a forced fumble by @EversonGriffen returned by @captain_41 for a touchdown. If the play stands, that would be @captain_41 's 6th career TD. The previous 5 were on INT returns. Even though I was completely terrible for an entire half of a baseball season it never occurred to me to try throwing with my other hand. Seen Twitter speculation that Packers don't care tonight. If that's the case, then Rodgers just lets Munnerlyn go and doesn't pursue.
.@EversonGriffen now has 9.5 sacks on the season. Griffen has now forced 3 fumbles in his career. Call stands. 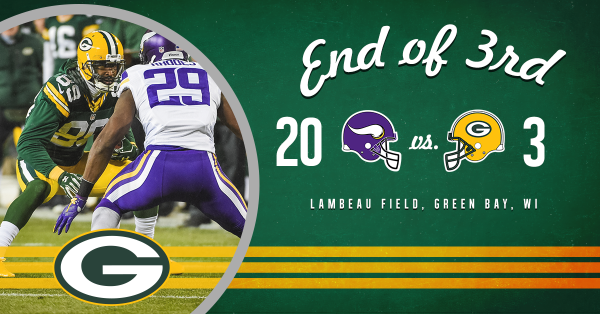 #Vikings set to take 20-3 lead at Lambeau. The ruling on the field is confirmed - TOUCHDOWN! #Vikings DT Kenrick Ellis is probable to return with an ankle injury. 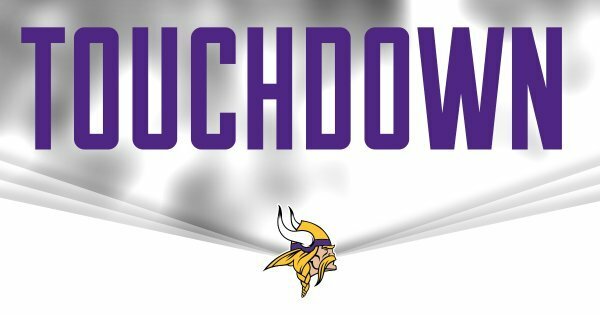 The #Vikings lead 20-3 after the @captain_41 touchdown. You could say the Vikings are in control of this game right now. Boy, did I see this one coming. I'm so **** insightful it's frightening. He missed deep on McKinnon, a little too safe, mcCoy was out of bounds but he wasn't that open, wright dropped the ball and ran a bad route. None of those are reasons to stop taking shots. 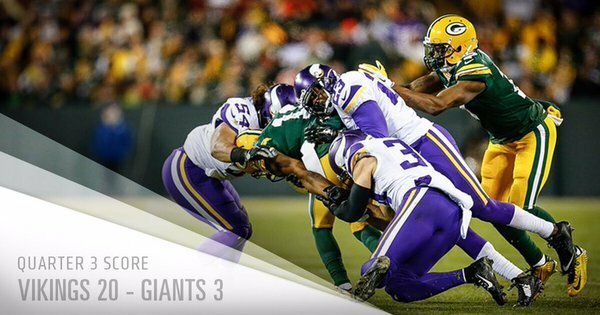 #Vikings lead 20-3 with 4:28 left in the 3rd quarter. That play was all Griffen beating Packers' displaced guard in Sitton. 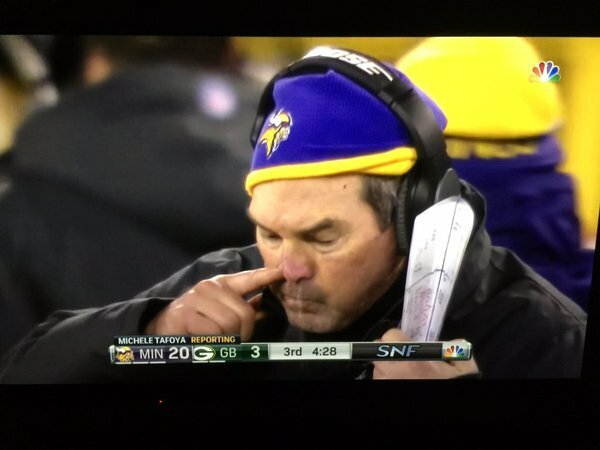 Zimmer called another third-down blitz. The last time the #Vikings returned a fumble for a TD was Anthony Barr's 27-yard game-winning TD at Tampa Bay (10/26/14). GB going for it on fourth-and-4 with 1:19 left in the 3rd. #Vikings DT Kenrick Ellis has been downgraded to questionable with an ankle injury.
.@itheeayb gets credit for a sack, giving him 3.5 on the season and 7.5 in his career.